Perfume Genius has paired up with W Hotels’ new music initiative W Records to release a pair of new songs, the first of which, “Alan (Rework)” dropped today, Nov. 14, with the next dropping sometime next week. This format was first established with W Records’ collaboration with Amber Marks, who released two singles through the label last month. The label is a new venture for the hospitality brand. According to a press release, W Records will support artists “through every step of development, providing recording space, video shoot locations, mixing and mastering and finally, distribution of the new sound via live performances, streaming and vinyl production.” The hotel’s label records tracks in “W Sound Suites,” and will use their connections to “DJs, tastemakers and music-loving SPG/Marriott Rewards Member” to help support up-and-coming artists. 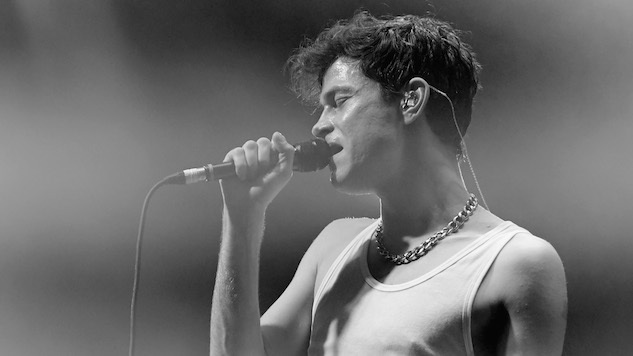 For his contribution to the project, Perfume Genius has shared his reworking of No Shape cut “Alan.” The new version is more immediate and live-sounding, a showcase of the aforementioned W Sound Suite’s acoustic temperament. Listen to “Alan (Rework)” below.